Melonie in Minnesota has decided to wait for a future litter. 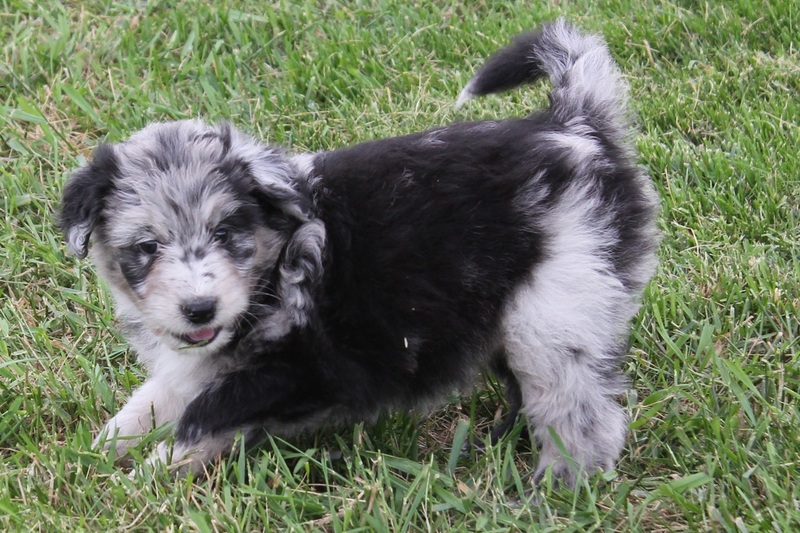 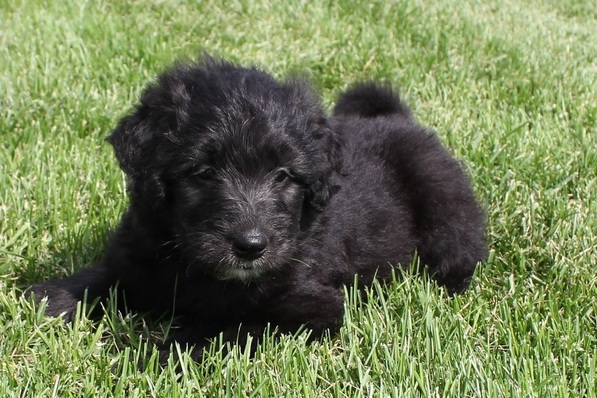 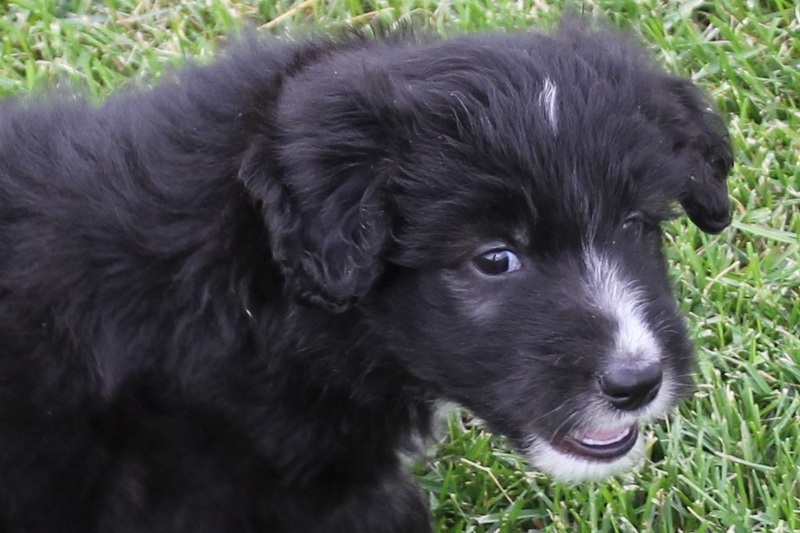 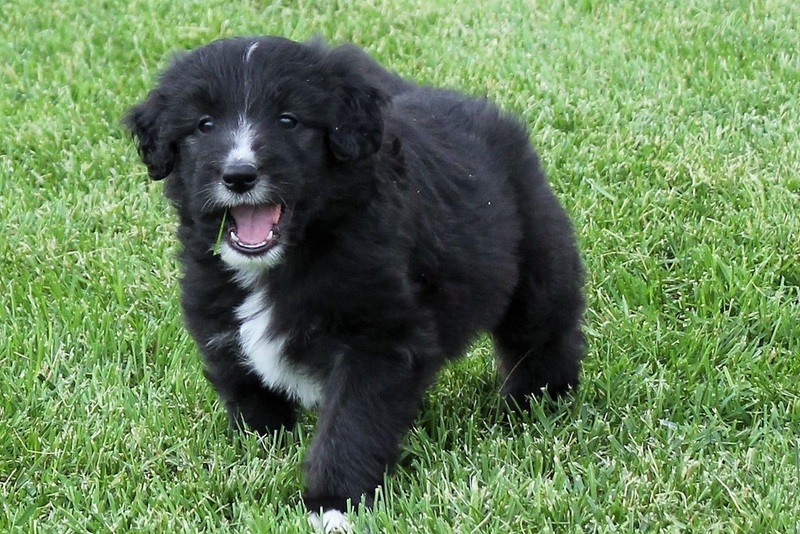 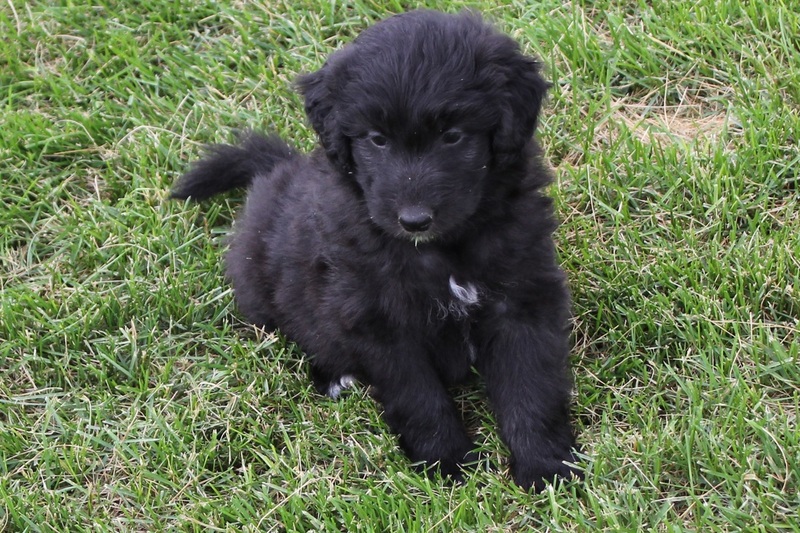 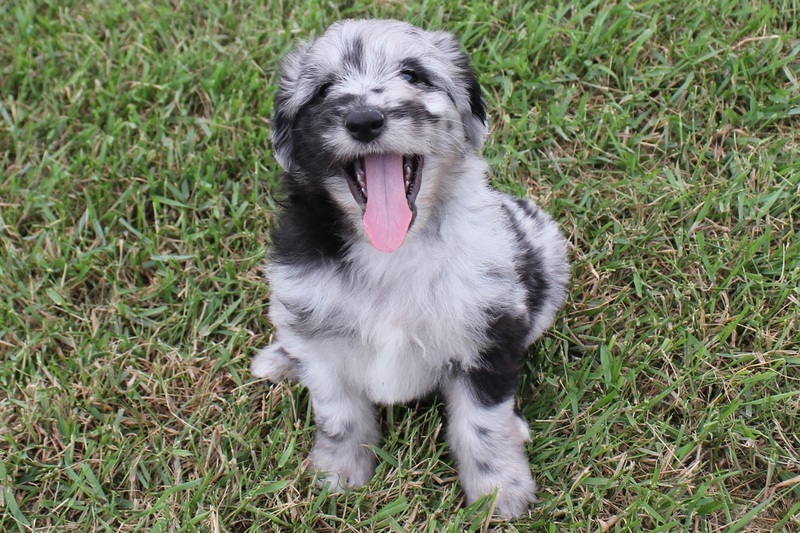 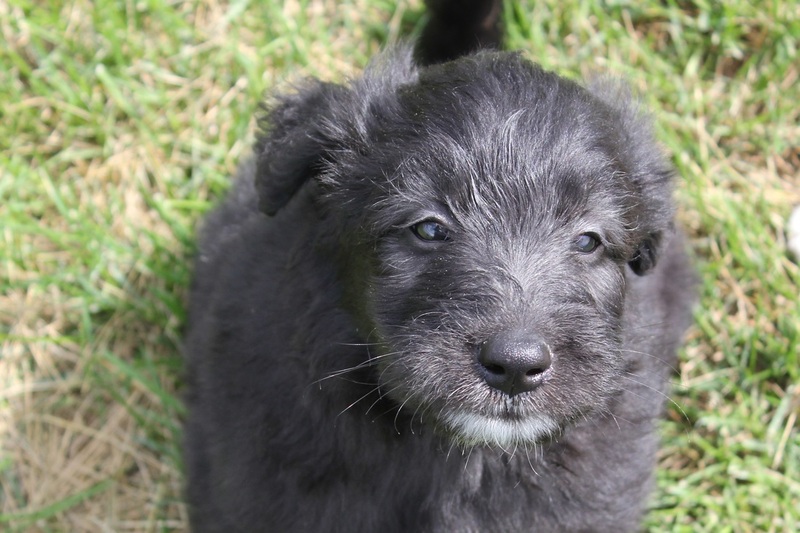 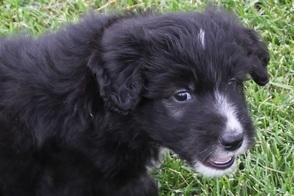 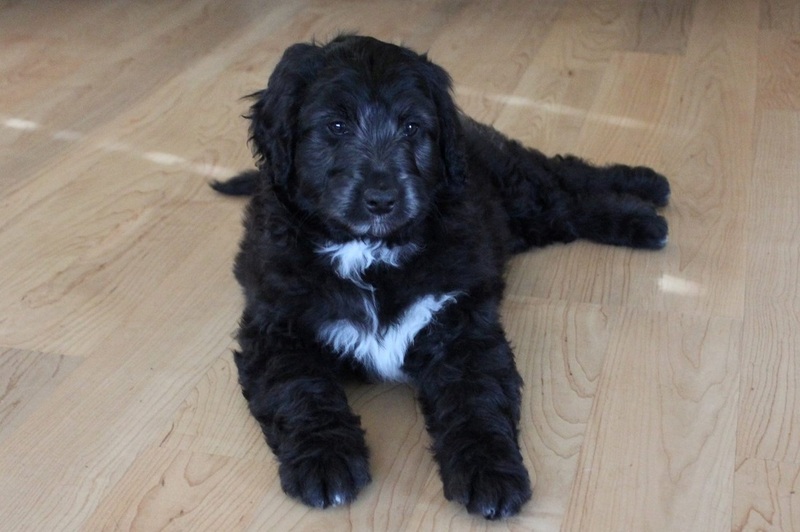 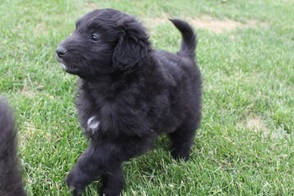 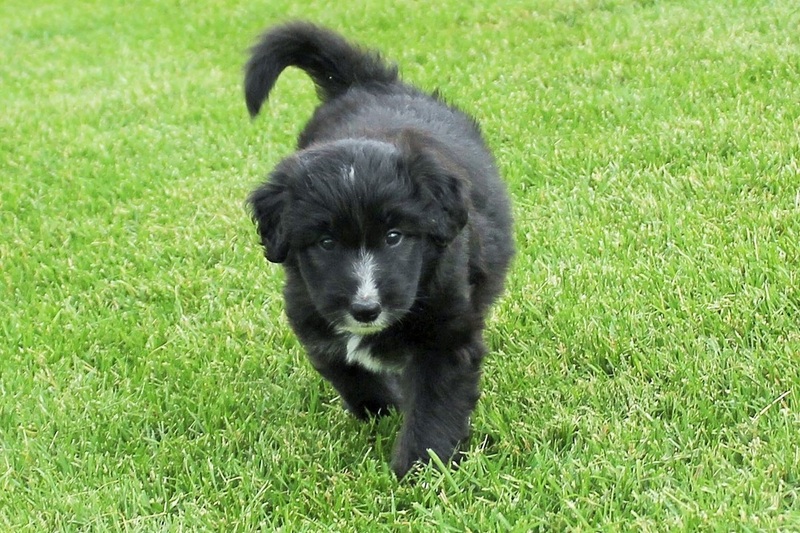 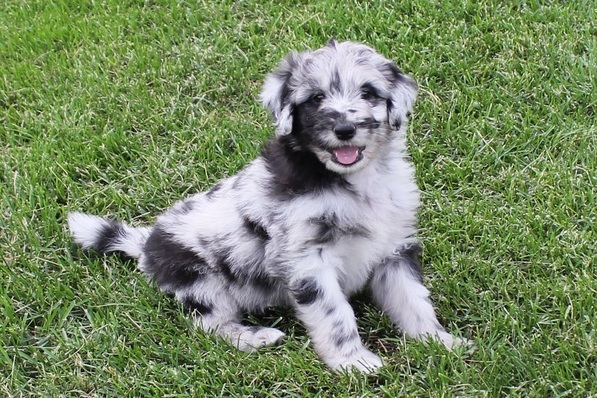 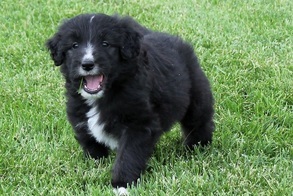 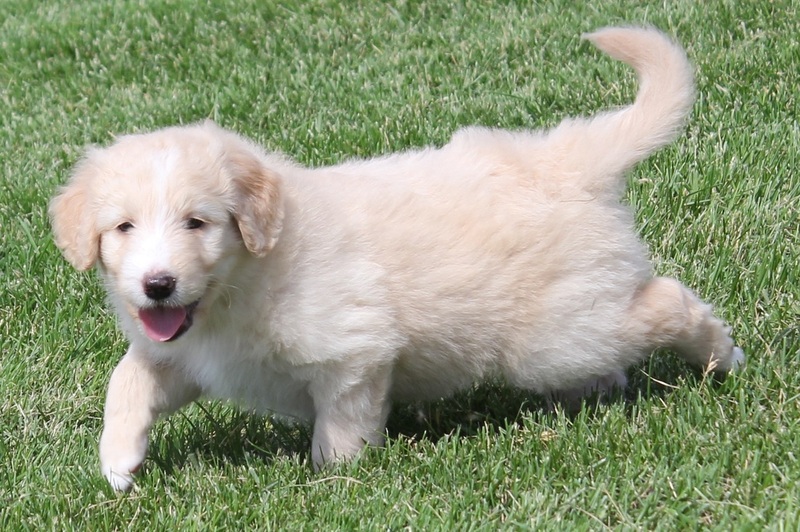 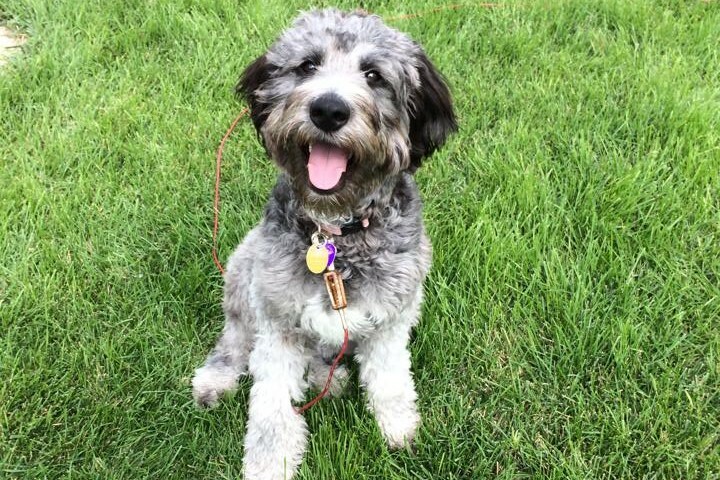 PLEASE NOTE, THERE ARE 27 AUSSIEDOODLE PUPPIES TO CHOOSE FROM. 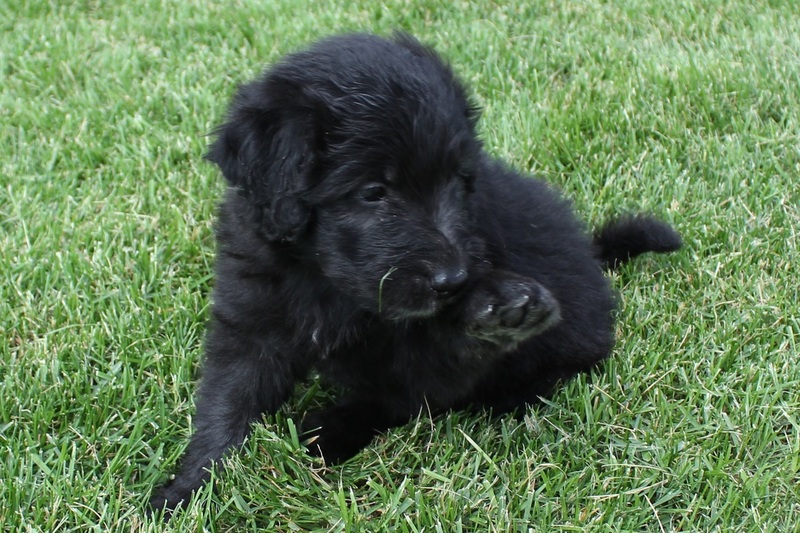 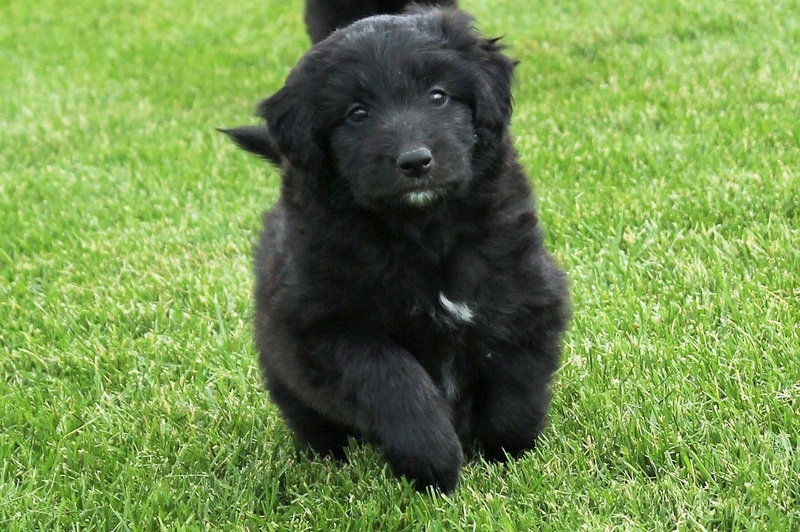 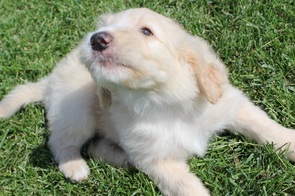 THERE IS ALREADY A RESERVED LIST FOR SOME OF THE PUPPIES. 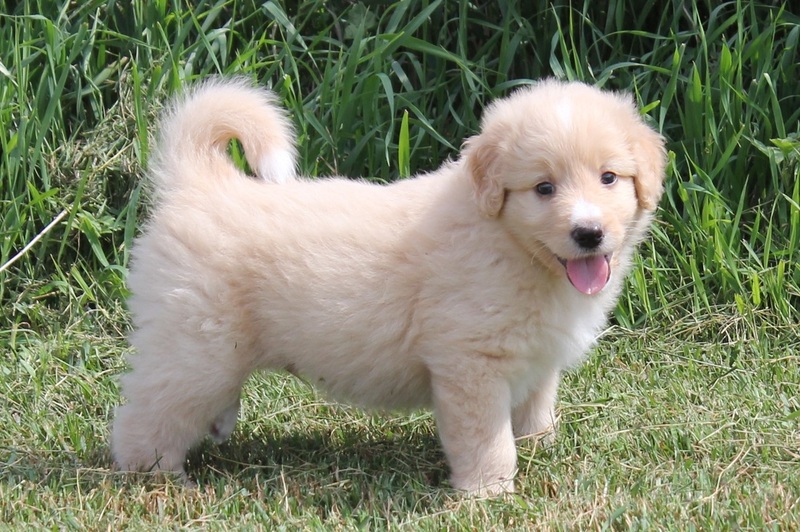 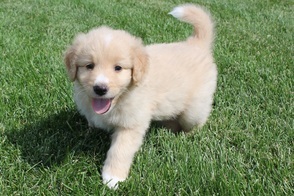 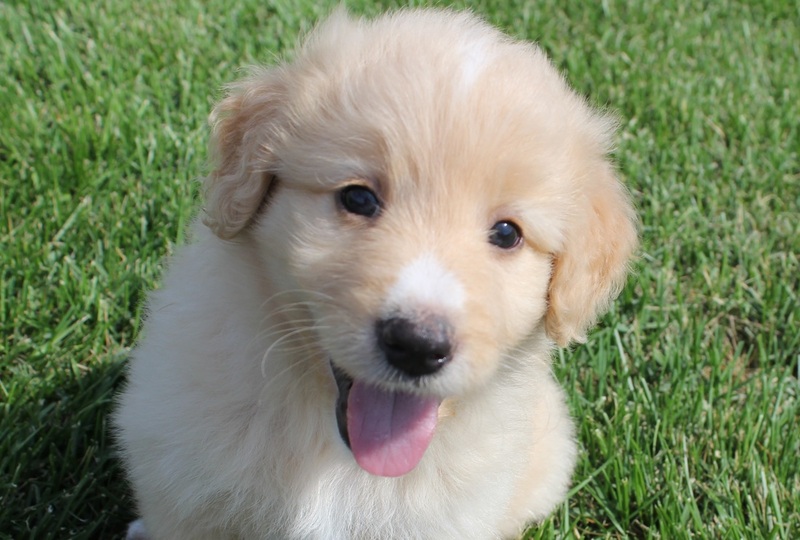 CLICK HERE TO SEE WHAT ORDER YOUR DEPOSIT AND THEREFORE YOUR CHOICE OF PUPPY WILL POTENTIALLY BE! Girl #1-Blue merle, black on right side of face. 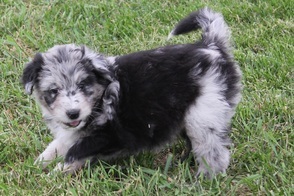 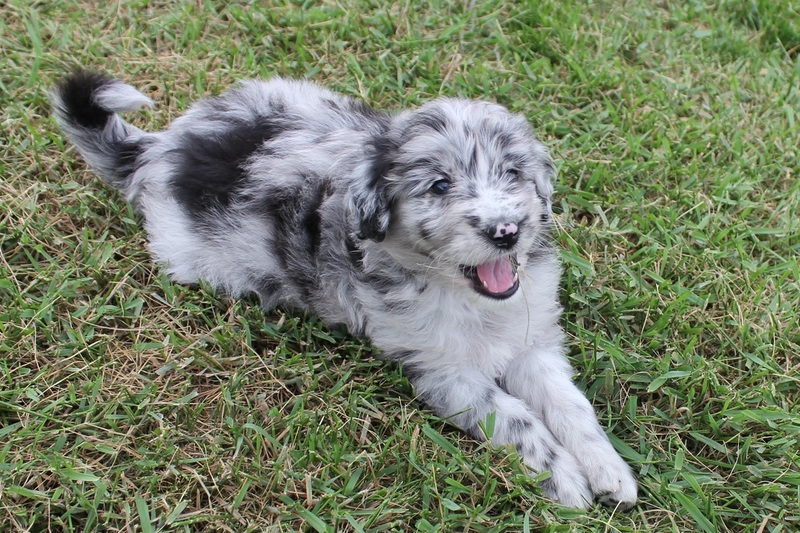 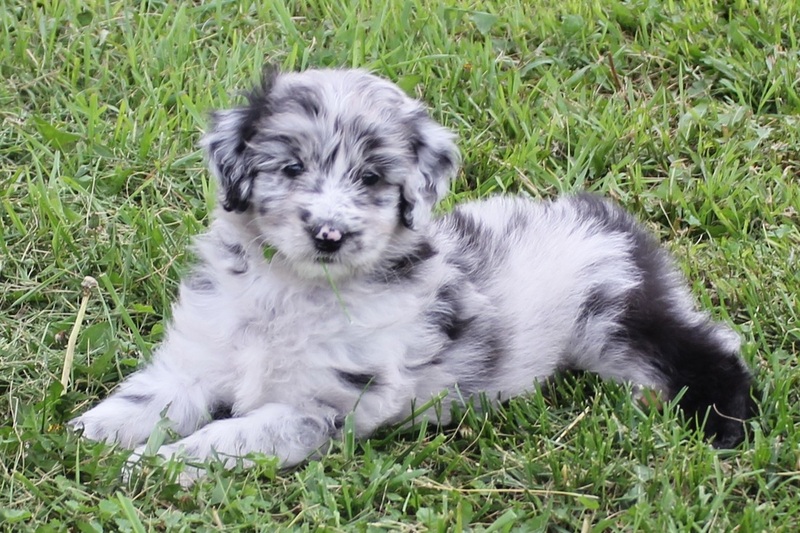 Girl #2-Blue merle, black left hind leg. Pretty undercoat. 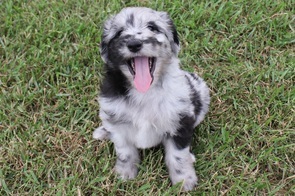 Going to Deb in NC. 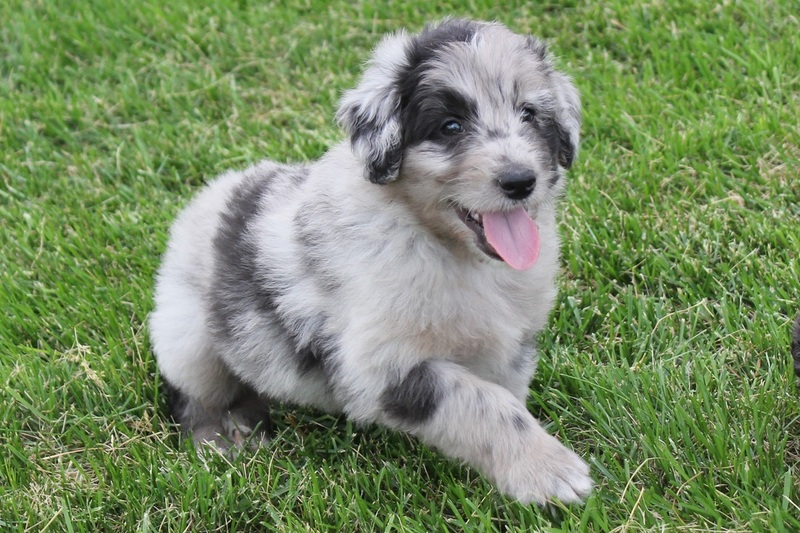 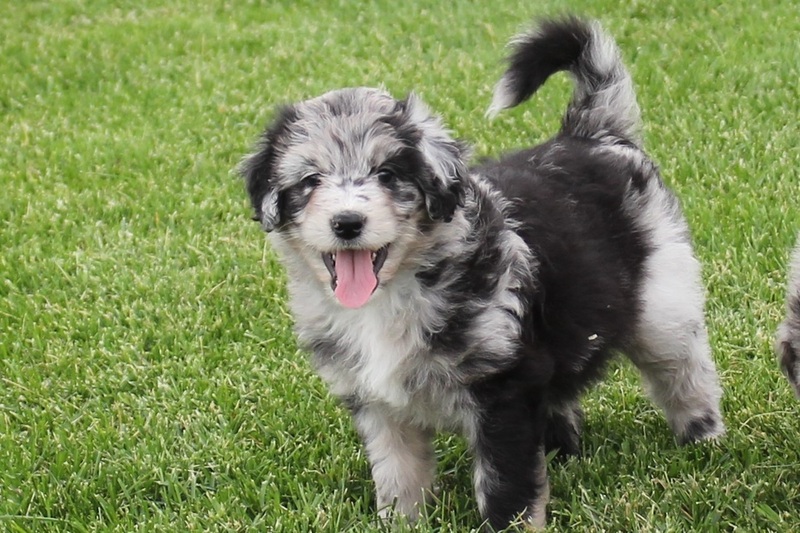 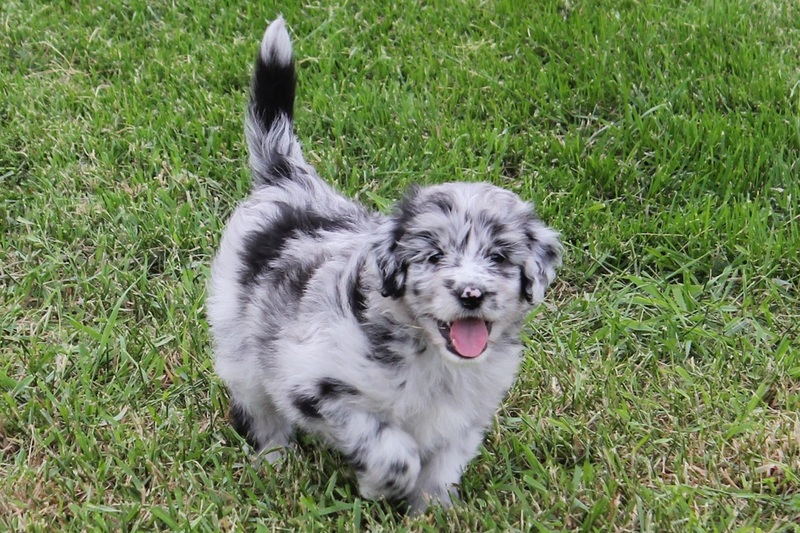 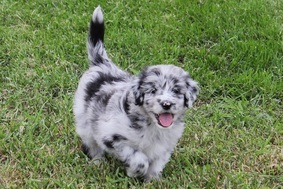 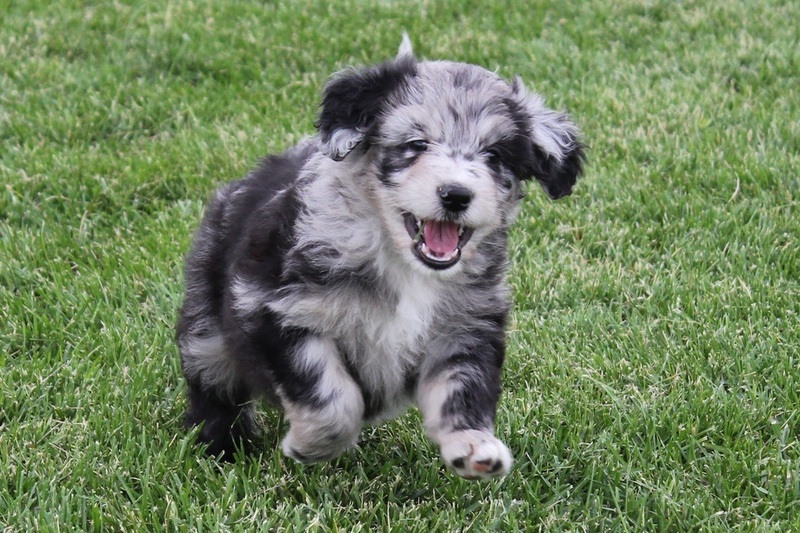 Girl #3-Blue merle, lots of black. 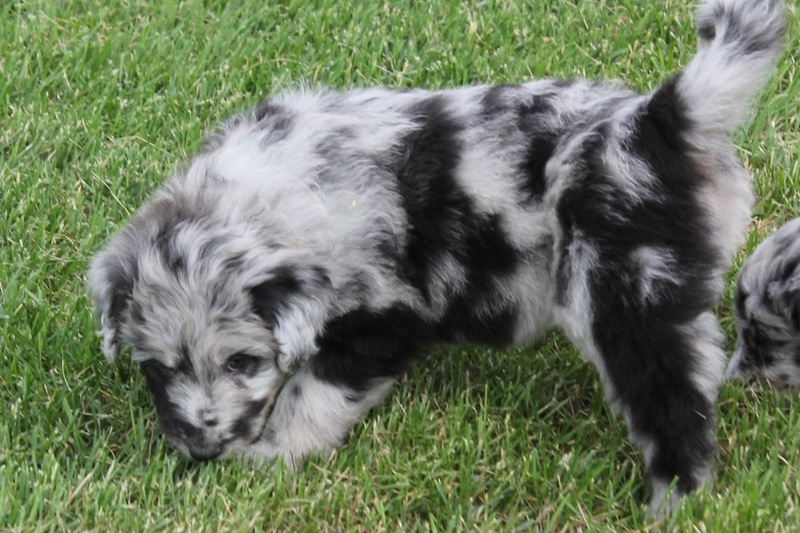 Nice pattern. 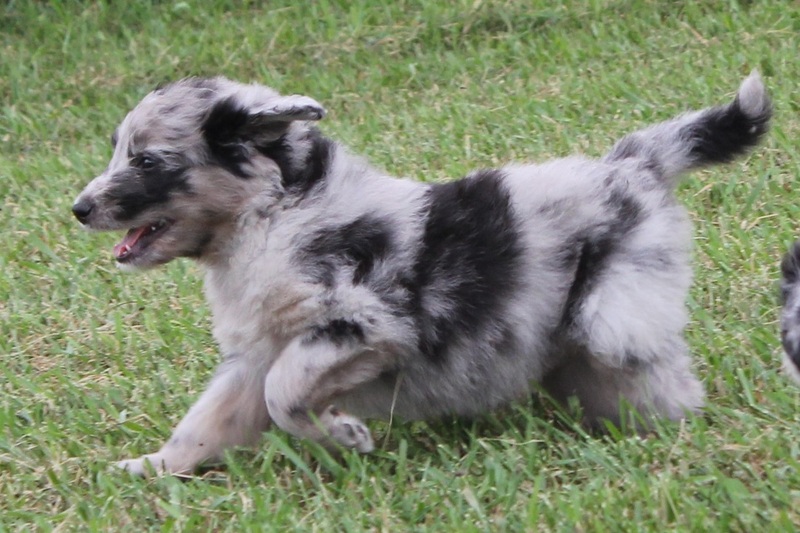 Girl #4-Blue merle with hints of gold. 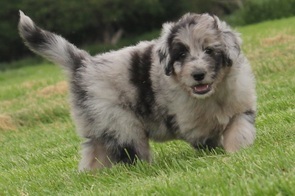 Boy #1-White tips on back toes, white under chin and a few white hairs on his chest. Turning silver. Boy #3- Black boy with white on back toes, small white spots on chest and tiny white spot on chin. Possibly turning silver. 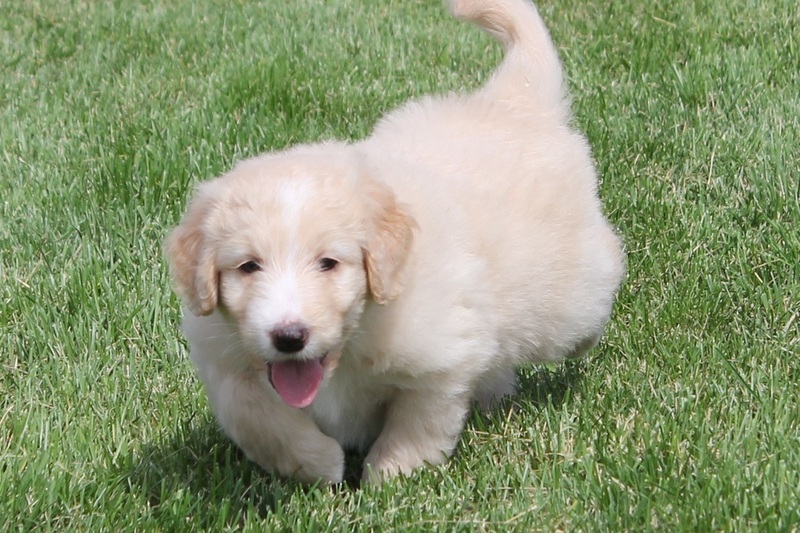 Boy #4- Cream with large white on chest, under chin, all four toes, snip and strip on face and tip of tail.